Supermoto is a relatively new motorcycle category, massively gaining in popularity since it was first discovered several decades ago. Well, there is no straight answer to that. Supermoto bikes are usually based on off-road or endure motorcycles, but ride on sport or hypersport tires. The reason for this combination is supermoto racing events, which are held on three different surfaces – hard-packed surface, irregular surface such as motocross events have, and paved tarmac like on a racing circuit. This makes it very hard to choose great tires for every supermoto rider, as the tire should work on every type of surface imaginable. Generally, supermoto riders use their motorcycles on paved roads, but not everybody. In order to help you with choosing the best possible tire for your motorcycle and your riding style, I’ve created a Top 10 list of the best supermoto tires. In that list, you will find tires that are more geared towards riding on the road, but also tires that are good for off-road scenarios. Besides, for those that want to learn more about supermoto bikes and the tires used, there will be a “buying guide” section. The Conti Attack SM is a pretty sporty tire and one that sticks to the asphalt like almost no other tire in its category. The reason why it sits on the first place is its softer SM compound with carbon soot, which has a better grip when it is colder than other hypersport tires in its category. 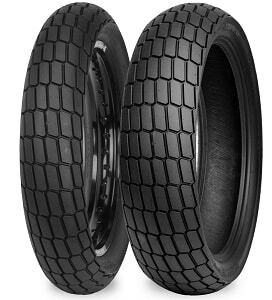 This is very important for supermoto motorcycles because they are lighter and less powerful than sportbikes, so it is not as easy to warm up the tires with them. With a pair of these tires, you will not only be able to attack the corners even when they are cold but also when they are new. Unlike other tires in its category, the Conti Attack SM has TractionSkin, a revolutionary micro-rough tread surface that puts end to tire break-in. And it’s not just the surface of the tire – in the manufacturing process, Continental uses no tire-release agents thanks to new mold coating technology. In the real world, the Conti Attack SM gives the best handling out of the bunch. I especially like how it grips the surface, but it is also very responsive to the steering input and gives the driver a lot of confidence due to the MultiGrip technology. You can also expect excellent stability at higher speeds and improved traction thanks to the 0o belt construction. This tire is also very light, which gives it an advantage over its competitors. At the end of the day, this is one of the few tires that are specifically made for supermoto bikes. It comes as an OEM choice on the Husqvarna 701 Supermoto, a bike that’s one of the most popular in this category. The price of this Continental is also not very high, which makes it absolutely the best choice in this category. The second tire on this list is also specialized supermoto tire from a German manufacturer, which means that you can expect a high-quality product. 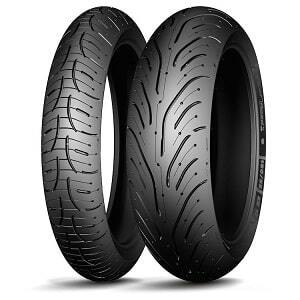 The advanced rubber compound of the Heidenau K73 Supermoto gives this tire very good performance on the road, but it falls short when compared to the Continental on the first place on this list. Still, thanks to the more prominent tread, in my testing it was better in wet conditions, where it comfortably beats almost every other supermoto tire. In the real world, I think that most supermoto riders will find the K73 Supermoto very good in both dry and wet conditions. Dry grip is very good, albeit not phenomenal. That said, for most riders, it will suffice, especially in everyday riding. Wet handling, on the other hand, is simply fantastic. 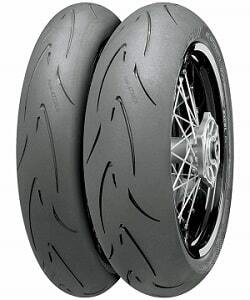 I am still to find a motorcycle tire that has that much grip and traction in wet conditions, let alone a supermoto one. The K73 Supermoto gives confidence in the wet like no other, making your ride safer in the process. Apart from the excellent wet performance, the Heidenau K73 Supermoto offers very good dirt handling, which also sets it apart from the Continental Conti Attack. The price is also not very high for a supermoto tire, which is why I recommend it to everyone that wants a balanced tire that works both in dry and wet conditions, as well as on dirt. On the third place on this list is arguably the best tire for supermoto bikes, bar none. Well, why is it not first you ask? The answer is price and the fact that it is not approved for street use. 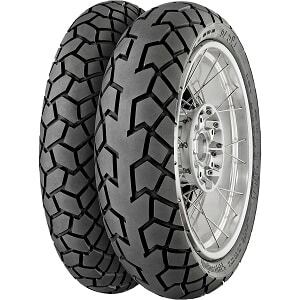 A pair of Michelin Power SuperMoto tires will be more expensive than any other pair of tires in this category, which is why I recommend it only for riders who seek the absolute best performance from their bikes. The Power SuperMoto is specifically designed for supermoto bikes. Thanks to that, it provides the rider with fantastic grip even when the tire is cold. It is also a magnificent handling-wise. Maneuvering the bike with a pair of these tires feels like dancing, which combined with the mind-blowing grip, gives you the confidence to push even further. Despite the performance, the Power SuperMoto is also very durable for such a sporty tire – it will last more than 10.000-miles. Michelin even offers “wet” specification of these tires, which offer the best wet traction of any other supermoto tire, but you must purchase those tires separately. All these traits make the Michelin the number one choice for competitive supermoto riders, who want to extract the maximum performance from their bike. It is a shame then that the Power SuperMoto is not approved for street use, as if it was, it would’ve been on the first place on this list. The Pirelli MT60 RS Corsa is specifically designed for supermoto bikes, which means that it offers excellent handling despite the lower weight of those motorcycles. In other words, it doesn’t need high temperatures for good grip and traction. Besides, it is also a 60-40 tire, which makes it an excellent choice for riders who want a combination of on-road and off-road performance. In other words, supermoto riders who use their bikes like they are supposed to be used – on the street, hard-packed terrain, and other irregular surfaces. The reason why the Pirelli is so popular with supermoto riders is that it offers excellent grip in the corners right from the beginning – no need to warm the tires up. Handling is also very responsive and the bike is very controllable, even at the limit. Unlike many sporty tires, the MT60 RS Corsa is very good both in dry and wet conditions. Performance in off-road conditions is also very good, especially for supermoto events, where you will only ride on hard-packed surfaces. Besides, the Pirelli MT60 RS Corsa is also not very expensive, especially for the performance and durability you get. Absolutely one of the best tires for supermoto bikes out there right now. Supermoto bikes are almost always used on paved roads, but what if you ride your bike on dirt surfaces? Then I recommend the Pilot Road 4 Trail, which offers very good performance on asphalt, but it also offers enough traction on dirt for leisure ride (90-10 tire). When compared to the Conti Attack SM, for example, it offers much better performance in the dirt, but don’t expect it to be as good on the street. In the real world, the Pilot Road 4 Trail is more of an everyday amateur tire than a sports tire, but that’s fine for most people, especially for those that don’t use their bikes on the track. Grip and traction are still very good in dry conditions, excellent in wet conditions, and very good on dirt. The Pilot Road 4 Trail is also very comfortable and quiet, and highly durable as well. 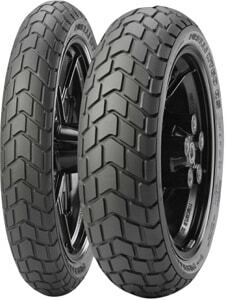 If you don’t ride your supermoto competitively, this tire might be the best choice out there. That said, like every Michelin tire out there, this one also has a higher price than its competitors. Still, with its excellent endurance, the Pilot Road 4 Trail may be the best choice for riders who cover a lot of miles annually. Now we go into more of an off-road territory, where you will need something like a 70-30 or 60-40 tire. 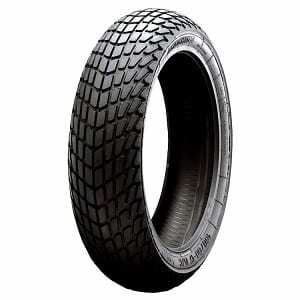 My choice for a tire that offers combined road and the off-road ride is the Continental TKC70, which is a 60-40 tire. It is still more geared toward street performance, but it also offers off-road performance that is much better than that of its rivals. In the real world, on-road handling is responsive and the grip is excellent in both dry and wet conditions. Another great trait about the TKC70 is that it very quiet – I wouldn’t mind riding hundreds of miles on a pair of these tires. It also has a speed rating of 150mph, which means that it can be driven at highway speeds for longer stints. You can also have peace of mind when pushing it to the limits in the corners, even at higher speeds. All that on-road performance is accompanied by admirable off-road performance, especially for hard-packed surfaces. This makes it an excellent choice for riders who want to explore all of their supermoto bike capabilities, both on paved roads and on slight off-road conditions. 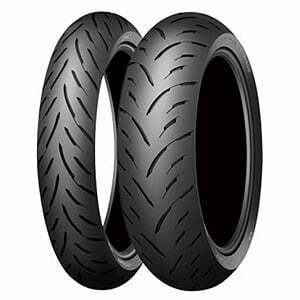 The Continental TKC70 is also pretty cheap for such a high-quality tire, which makes it one of the safest choices for supermoto bikes. Part of the fun of supermoto riding is the off-road sections, or more precisely, hard-packed surfaces. If your supermoto ride contains that kind of surfaces, then the Avon Trailrider is a great choice. This tire is made for 90% street and 10% off-road ride, which means that it is still mostly designed for use on the street, but thanks to the prominent tread design, it does provide excellent grip and traction in off-road scenarios, and especially at hard-packed surfaces, where it excels when compared to other 90-10 supermoto tires. In the real world, I find it to be very precise on the road, with excellent steering response for the front tire and very good traction for the rear one due to the high tech carcass construction and next-generation compounds. The Trailrider warms up very quickly, which is also very important for supermoto bikes, as they are lighter than superbikes. The tire is also very good in wet conditions, thanks to the Super Rich Silica Compound. 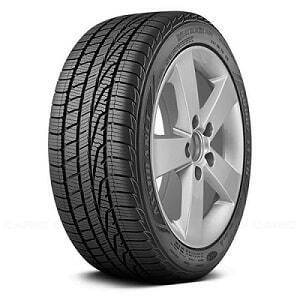 Being an Avon tire, you can also expect excellent mileage – this is one of the most durable tires in its category. Given the performance it offers, the Avon Trailrider is also not very expensive, especially given the fact that it lasts longer than some of its competitors. Here we have another popular choice within the supermoto community, the Mitas Sport Force. The reason why this tire is so popular is that it provides the rider with excellent performance in the corners, specifically on paved roads, but it costs much less. As a matter of fact, you can save up to 60% when compared to the likes of Michelin or Pirelli. But, how does it compare to those tires in the performance department? I wouldn’t go as far as to say that it beats them, but it is close enough for most riders. The front tire is very responsive and grippy, while the rear one provides excellent traction, especially when warmed up properly. I find the Mitas Sport Force to be especially good at an angle, something that most supermoto riders will definitely exploit. That said, don’t expect any off-road performance at all from this tire, as it is specifically made for use on asphalt. It is also not the best choice for use in the wet, where it suffers from lack of grip. Durability, on the other hand, is excellent and in line with what the more expensive hypersport tires in this category offer. Overall, despite the few shortcomings, I think that the Mitas Sport Force is absolutely worth it for everyone who wants excellent grip and traction on the street at a lower price point. After suggesting a budget option, why not go even further and present you with a cheap tire? The Dunlop Sportmax GPR300 is not only cheap, but it is also very good on the performance side as well. This is an aggressive tire for a ride on asphalt that provides the rider with excellent grip and traction in most conditions. And even though it is cheap, Dunlop made sure that it is not short of hi-tech features, such as the Jointless Band construction of the rear tire for smooth performance and consistent tire patch. In the real world, you may lose some performance when compared to more expensive hypersport tires, but most riders will fail to notice the difference. Handling is pretty responsive, and the grip is excellent on both the front and rear tire. Traction is also very good – up there with the best. Performance in the wet is not bad, but I would be careful when riding in those conditions. Of course, don’t expect any off-road performance from this tire, as it is only made for use on asphalt. Still, for the performance you get, the Dunlop Sportmax GPR300 is a very cheap tire that might appeal to amateur supermoto riders. It is also pretty durable for such a cheap tire, which only adds to the charm of the Dunlop. Let’s finish the list with another cheap tire, but this time for riders who want to exploit their supermoto bikes on the track and have a lesser budget. 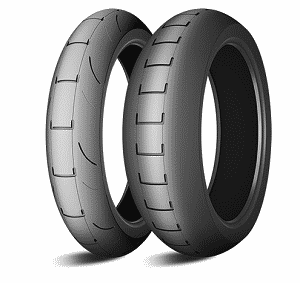 The Shinko Flat Track tires, both front, and rear are specifically designed to offer supermoto riders a combination of great performance on asphalt and slight off-road use. Both are available in three compounds – hard, medium, and soft. This means that the rider gets to choose how his bike will perform in the corners. That said, please note that the soft compound is not very durable, even though it offers the best performance. On the track, I find the Shinko to be very good in the corners, with enough precision and responsiveness that you come to expect from more expensive tires. The grip is excellent in dry conditions, but also very good in the wet. Slight off-road sections should also pose no problem for this tire, thanks to the prominent tread blocks. Overall, the Shinko Flat Track provides very good performance for the price, especially for competitive riders who are on a budget. The only real downside is the slightly worse endurance when compared to premium supermoto tires, but that’s expected from a product that costs much less than its direct competitors. What to Look Out for When Buying Supermoto Tires? The Top 10 list above ca really help you choose excellent tires for your supermoto, but what if you want to dig a bit further? For those who want to learn more about supermoto tires, I’ve created a sort of a buying guide, where you will learn everything there is to know about supermoto tires. Radial and bias-ply tires are different in the way they're built. Due to these differences, radial tires are lighter and less strong, while bias-ply tires are tougher and heavier. For most supermoto riders I think that radial tires are the better choice. They offer vastly superior handling characteristics, better performance in a straight line, and are even more comfortable over bumps. Some bias-ply tires offer better off-road durability and toughness, but I don’t think that they are the way to go for supermotos. Motorcycle tires vary greatly in size, but supermotos are usually equipped with a 16 or 17-inch wheels, which greatly reduces the choice. But, what are all the numbers on the tire wall and how to read them? As an example I will take the Continental Attack SM rear tire, that has the numbers 150/60-17 on the sidewall. In this case, the first number is the width of the tire. Usually, the wider the tire, the better grip and traction you get, but less maneuverability and agility as well. The second number is the height of the sidewall, expressed in percentage compared to the width of the tire. In this case, the height is 60% of 150mm, which turns out to be 90mm. A bigger sidewall usually means better ride quality, while smaller sidewall will give you better cornering performance. The third number is the size of the wheels in inches (17-inches here). Please note that while you can install wider and taller tires on the same rim, you can’t install tires with a bigger or smaller diameter, as they will not fit. The pattern and tread depth are directly connected to the performance of the tire in wet conditions, as well as off-road conditions, Usually, the more prominent pattern design and deeper tread mean that you will get better performance in wet conditions, as well as off-road. On the contrary, the less pattern on the tire means that it is more suited towards use in dry conditions on the street or the track. I hope that this article helped you choose the best possible tires for your supermoto bike. Just remember to always choose tires according to your riding style and your bike and you should be fine in the years to come. 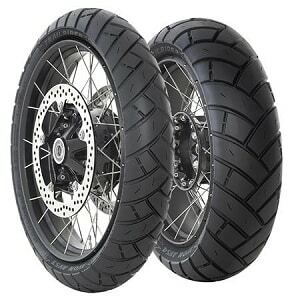 Check the Top 10 list for more information on the various types, as it contains every type of tire a supermoto rider might want. And of course, have fun!